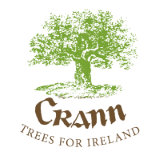 Crann, the environmental organisation that champions trees and woodlands, calls on the Government to reconsider its position on the proposed sale of harvesting rights to clear fell our State forests. Crann’s major concern about such a sale relates to the need to maintain and improve the present standards of environmental management of our forests, both for nature and for recreational use by the public. We have grave doubts that this is achievable without a substantial subsidy from the state that would effectively undermine the financial case for such a sale. We are therefore opposed to this sale. Instead we recommend a move to *continuous cover forestry combined with *allowing some forests to develop to maturity with no felling over the next century or two, thereby acting as carbon sinks to offset Climate Change. A recent study has shown that such a move could, in addition to direct environmental benefits, actually improve the health of the public who use our forests.